Centrally located in Fairfield County, American Irrigation Systems, Inc. has the capability to keep all your landscape designs healthy, while conserving one of our most precious natural resources, water. Owner and operator, Dennis Salzbrunn, is a Connecticut master J­3 licensed irrigation contractor. In 1986, he graduated from New England Institute of Technology with an electrical technology degree and worked as an electrical apprentice for several years. Following this, he worked for a prominent Fairfield County landscaping company as their irrigation department manager. In 1994, he established American Irrigation Systems. Soon after, Dennis received his J­1 License for pumps, filters, and water treatment. This knowledge about pumps allows for the proper coordination between the output of a well or city water line and the overall design of a sprinkler system. Furthermore, considering the fact that not every home has the same water volume and pressure, this approach results in the most efficient and effective system possible. 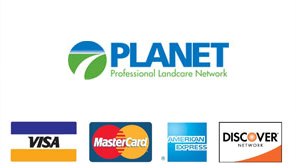 In addition, Dennis is certified by the nation's leading irrigation manufacturers; Hunter, Toro, and Weathermatic. With his electrical background and vast experience with irrigation, water pumps, filters, and water treatment, Dennis has built a company that is unique from the rest. For every job, he uses expert synchronization between a customer's water source and the overall design of a system. Fully insured, Dennis and his staff are enthusiastic about installing and servicing all your irrigation needs. © Copyright 2019 American Irrigation Systems. All Rights Reserved.